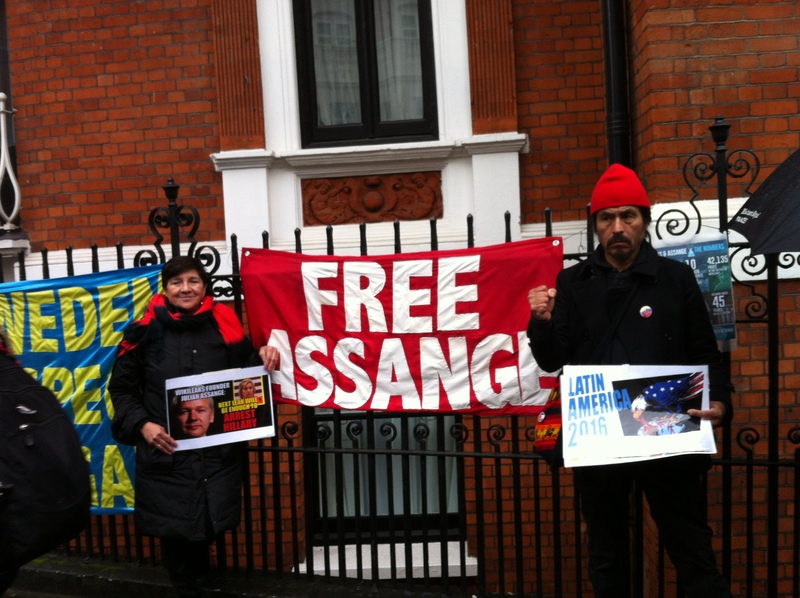 Join our Christmas solidarity vigil outside the Ecuadorian Embassy in London! The song tells us: “War is over if you want it”. WikiLeaks’ publications have furthered the cause of Peace worldwide with original documents exposing the lies that lead to war, the real face of its operations, the civilian casualties, the torture, the money that oils the drums of war. We have stood witness to what happens when a publishing organisation dares to disseminate truthful information in a format that can withstand the test of time, can hold weight in legal courts, can become the knowledge upon which the world is changing. Powerful unaccountable interests entrenched into the fabric of organised government, unleashed a political, judicial and extrajudicial persecution of WikiLeaks, its founder, its sources, editors and staff, its network of supporters. Consistently over the course of years this persecution has taken different forms from the overt to the covert, from the all out confrontation to the ‘softer’ more difficult to discern propaganda wars. This assault on WikiLeaks is not without casualties. The remarkable thing is that with every assault, new defenders have risen to help, the shear determination to continue to ‘publish or perish’ has such dynamic that forever renews the mandate to continue. Such is the need and want for change in our times, times of enlightenment in political science that WikiLeaks, an organisation born of our times, spearheads. 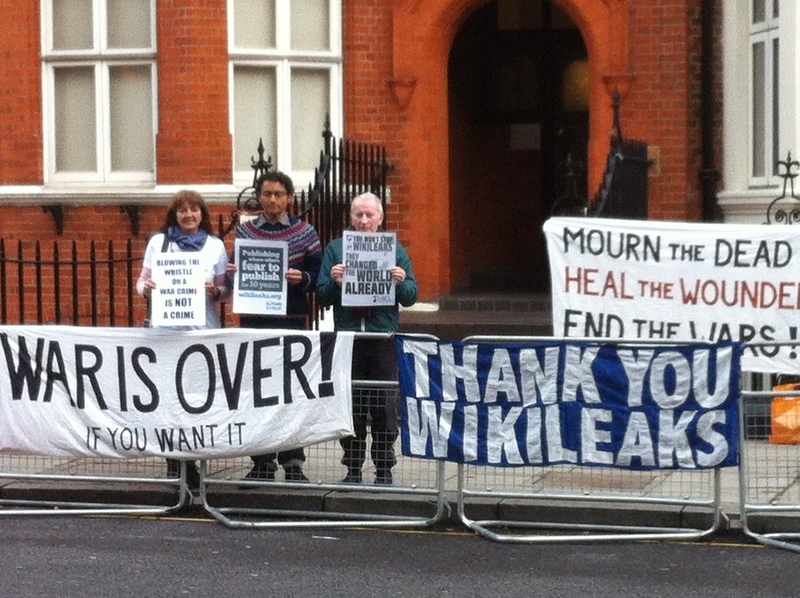 “Julian Assange is inside the Embassy, we stand outside in solidarity, we stand witness, we remember you, you are not alone”. I’ve always believed that words are powerful. They can tell lies and they can also tell the truth. They can hurt and smear, but they can also soothe. And in this case, it’s words that can travel across thousands of miles and get to you while I can’t. I wish that the world’s eyes turn to you and witness your struggle. I wish that justice prevails and you are free, like you were always meant to be. And more than anything, I wish that no matter how steep the road gets, no matter how strong the wind blows or how dark the days become, that nothing ever takes the light from your eyes or the love from your heart. Lucia. ..Beautiful message to Julian!